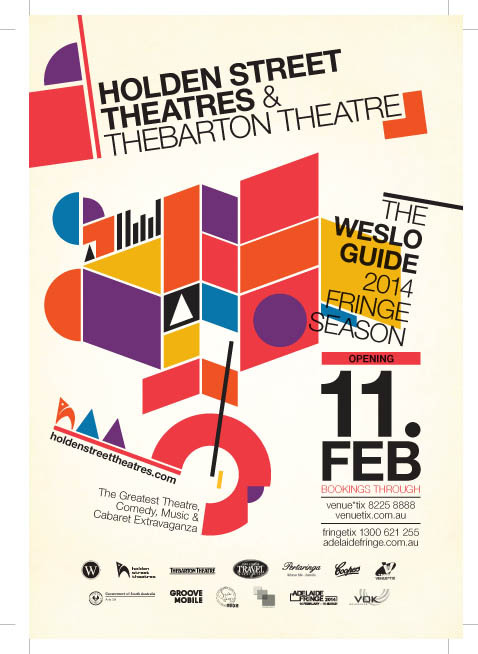 WINNER: Adelaide Fringe Award - Best Theatre WK2. A nostalgic return to the old comedy sketches of Fry and Laurie or Monty Python. Visually exciting, poetic in dialogue, funny, gripping, musical, and totally enthralling. Using the low-fi Japanese art form known as kamishibai, this internationally acclaimed production is a startling cross cultural mash-up. It is an unblinking portrait of the complexities of evil in everyday life. Eventful stories from residents of Prospect, Adelaide who grew up in the 1930’s and 40’s. Class War shouldn’t be this fun. Returning to Holden Street for more Superb Sundays. One cello, many voices. A multi-layered sonic kaleidoscope painting moments in time. Rediscovering Australia’s heritage song, story language and humour. A delightful performance of Kenneth Grahame’s classic story ‘The Wind In The Willows’. ‘Genius! This sort of inventiveness is rarely seen in New York’ (TheaterMania.com). Two original plays written in memory of Jill Meagher and Sarah Cafferkey. $2 from every ticket will be donated to White Ribbon. “Gabriel” is that voice which helps us to share what is good. No slamming screen doors or sprinklers popping just an oasis in the Fringe. Drink, play or just relax. A good old backyard bash, Cruisy tunes, open mic, retro games and amazing open-aired shenanigans.